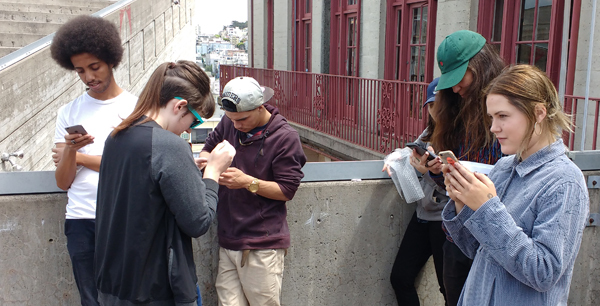 A show of Internet-based work on the rooftop of San Francisco Art Institute. The show presents works by students of my Spring 2016 Social Media course. It is accessible via mobile devices on the SFAI Chestnut St campus from May 5, 1pm until the end of the month.